Description: Invite welcoming illumination and decorative detail to any interior or exterior with this stunning Lighthouse styled pier mount, which is designed for both outdoor and indoor lighting applications. 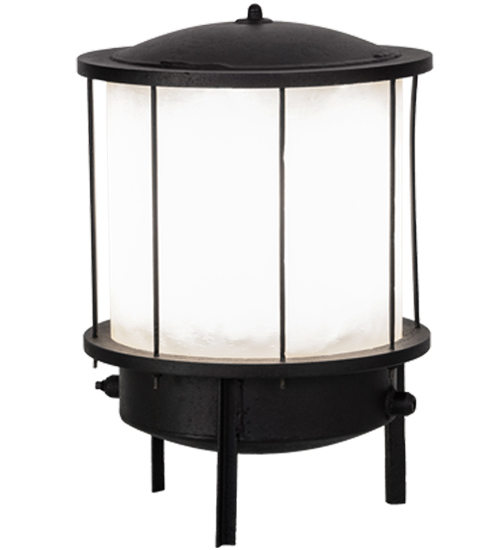 This lantern features Contrail Mist Idalight with a frame and hardware featured in a Black Textured finish. The fixture, which is handcrafted in the USA fixture, can be mounted directly to decks, piers and decorative columns. Custom sizes, styles and colors are available, as well as dimmable energy efficient lamping options such as LED. The pier mount is UL and cUL listed for dry, damp and wet locations.